Molly (shown left) and Gateway (shown right) are currently staying with us until we can find them a new home together. Molly is a black long haired Manx who will love to give you kisses. She wants to know everything that is going on and loves to be around her people. We have found that if you lay on the floor, Molly will rush over to lick your face and nuzzle your hands. She is curious and outgoing. Gateway is a black and white short haired guy who was named after the Gateway line of computers who had a cow mascot. He is slower to warm up but once he loves you, he will talk to you and ask for attention all the time! You can have "conversations" and he will just meow, meow away! 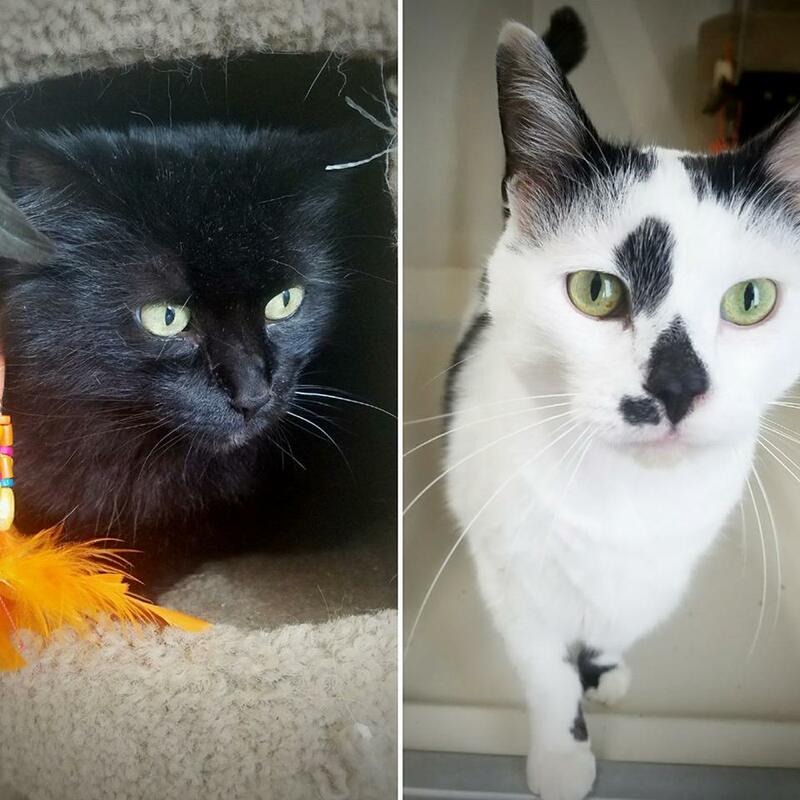 These two lovelies are just waiting for a new parent(s) to take them home! Please keep in mind that they must go to their new home together as they are very close. If you are interested, please come to the clinic to fill put an application! We look forward to seeing you! We are proud to support the BRHS's important work in our community.